Class 31, no. 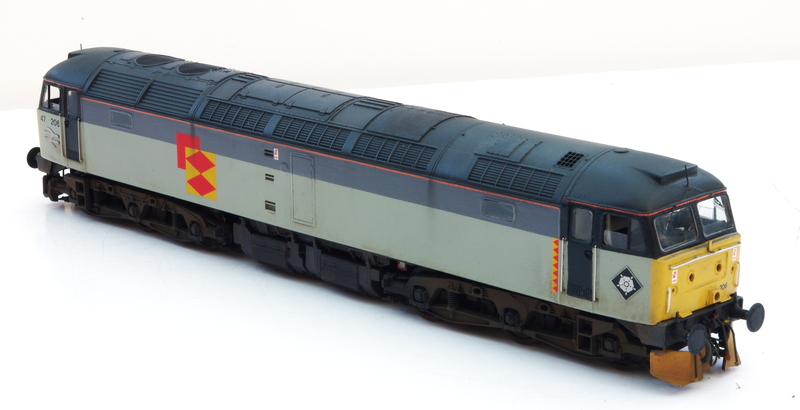 31171, which based around a Lima model with more modern running gear from the Hornby model. 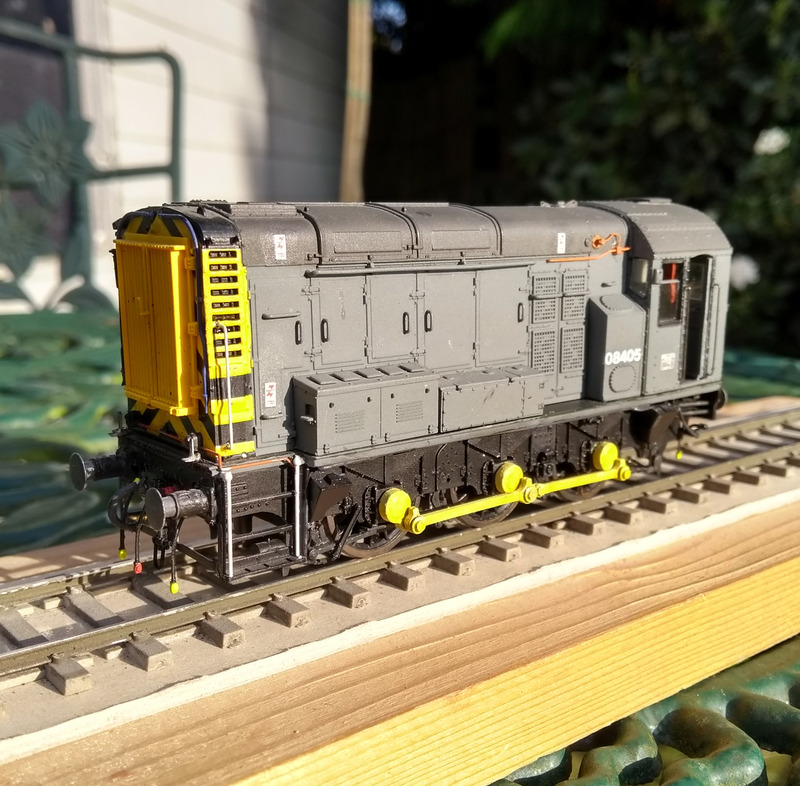 My thoughts about modelling the loco centred on a rather old Lima 31 which I had ‘in stock’. Initially I had wondered about using a Life-Like Proto 1000 PA-1 mechanism which is very close to Lima’s bogie wheelbase but then I looked at the Hornby class 31 which I bought when that first came out a little while back. I have explained my views on the model previously so won’t repeat them here, but I could see many of the parts could be very useful when combined with the Lima body – the Life-Like mechanism will be used in the future for another Lima re-power I suspect! I chose to retain the Lima chassis frame as I could replicate the methods I used when I extensively rebuilt a couple of Lima 37s (to the extent some people didn’t believe they were based on Lima products!) 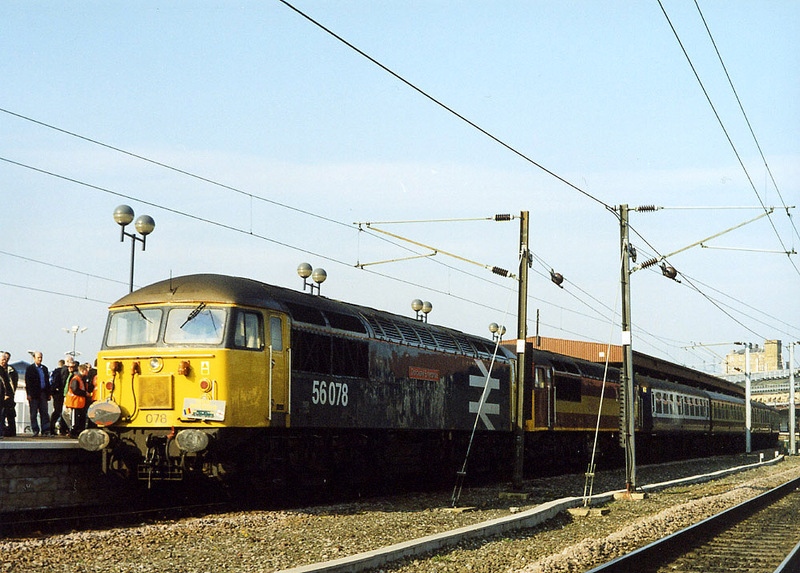 and used Hornby class 50 bogies as a form of propulsion. Jim Smith-Wright did make use of the existing Hornby chassis block within a Lima body but I felt repeating a previously used method would speed up the initial stages of the project. The Lima body looks right and has captures the look of the prototype far better than the newer offering from Hornby. With a bit of care the Lima body can be made into something pretty special. The photo shows how few items are required to really lift it. It also has wonderfully fine and subtle tooling which Hornby and Bachmann have so far failed to match. Hornby score well with their underframe parts – the battery boxes are a massive improvement over Lima’s. The bogies, in cosmetic terms are fairly close really – of course Hornby’s are much better mechanically but they do seem a little two-dimensional. A huge improvement can be made by removing the moulded (out of line) brakegear. The lack of brakegear isn’t obvious – it’s often in shadow anyway and the mind will fill the darkness with what it thinks should be there! The other Hornby items which should be included are the cab interiors which are superb and with new glazing can be easily seen. The class 31 was well received at Scaleforum in 2013. 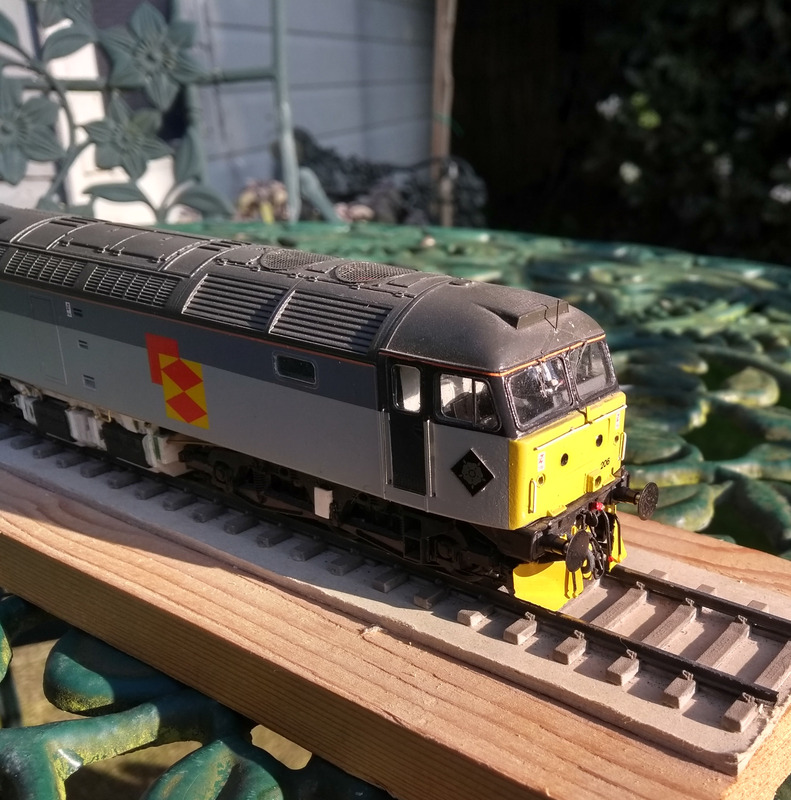 For some of you reading this I suspect you think this method is not exactly cheap – it probably isn’t but patience should find either discounted Hornby models or keenly priced second hand models. I have seen some for less than £50 on eBay in recent months. Bear in mind that I sold the body and made £20 back on that, so had I bought the model second hand the cost of the mechanism would have cost me around £30. You can get Lima models relatively cheaply. Add to this the new Gibson wheels (£20) and a few new details and parts you could easily build a high spec model for under a hundred quid. To some this will seem expensive but compared with locomotives I’m building for Botanic Gardens, this is good value – I am aiming for a consistent standard across all my modelling regardless of era or genre. To put it into perspective, a good quality etched kit built to P4 standards could easily be heading towards £200 depending on the choice of wheels and motor – very easily in fact. If you value prototypical fidelity then this cost will be acceptable, but if not then I think you’ll be very happy with the Hornby 31 as it comes and will have avoided all of this messing about! So the big question is, was it all worth while? I have to say emphatic yes! The end result is, I feel, a model which combines the best elements of both the Lima and Hornby models. It does require more work than simply taking a ready-to-run (RTR), but the end result is far more satisfying. I’m not saying you have to do projects like this but making things yourself is very satisfying, whether is locomotives and rolling stock or scenic projects.